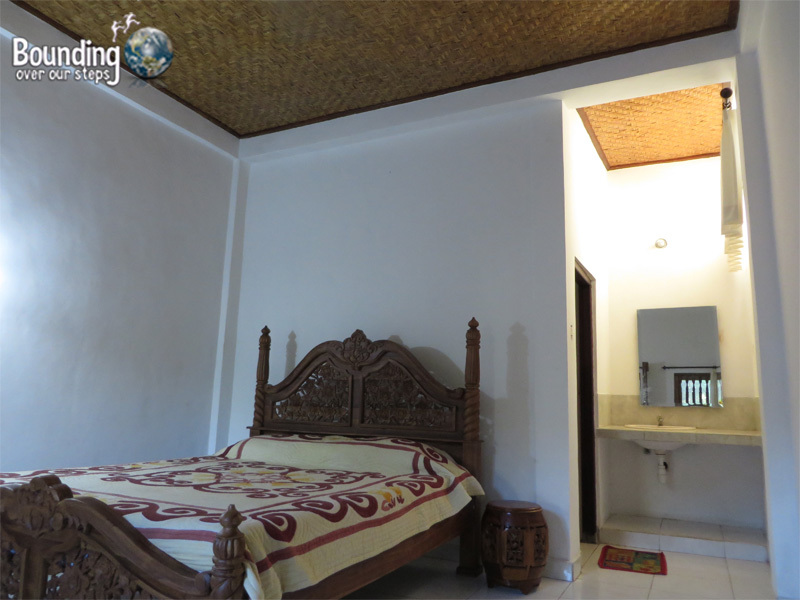 Adinda Homestay on Jalan Sugriwa is located just far enough away from the touristy section of Ubud to be relaxing, yet is close enough to be able to enjoy the macaques at Monkey Forest and take in performances on several stages. It is also a stone’s throw away from some great restaurants, including many vegan options. 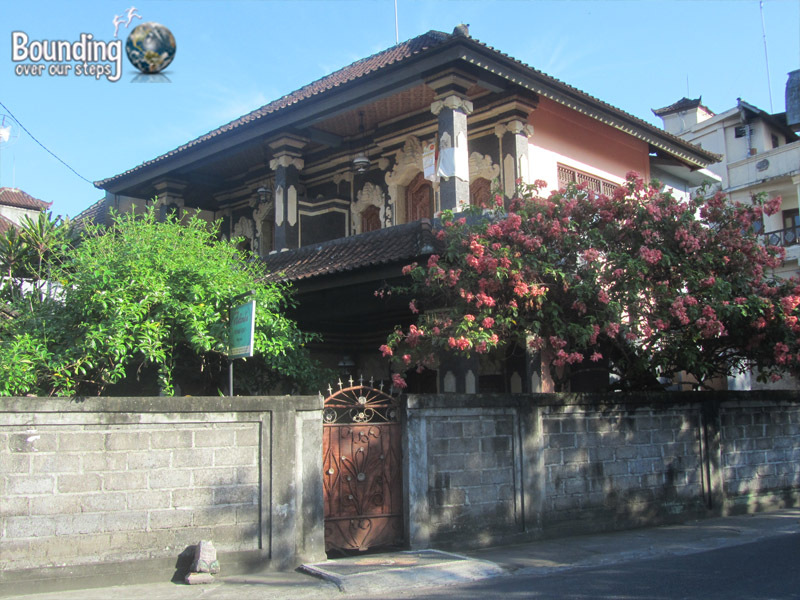 While walking to another hotel in the area we noticed Adinda Homestay and decided to walk in and check it out. We are so glad we did as we were welcomed by a very friendly and accommodating family. There was a small garden with vibrant flowers and a couple chickens with babies running around and we immediately got the feeling that this would be a true home stay. The room was surprisingly spacious with a high ceiling and a five-speed ceiling fan, comfortable queen-size bed and large furnished terrace. The bathroom was basic but, unlike some other hotels in the area at this price range, had hot water. Wifi was included in the price of the room and the signal was consistently strong. The family would happily arrange transportation for you, whether it be renting a bicycle for the day or providing a driver for transport or tours. The included breakfast will be served to you on your terrace any time you wish. The family graciously accommodated our vegan requests, serving up some very delicious alternatives to their standard breakfast. 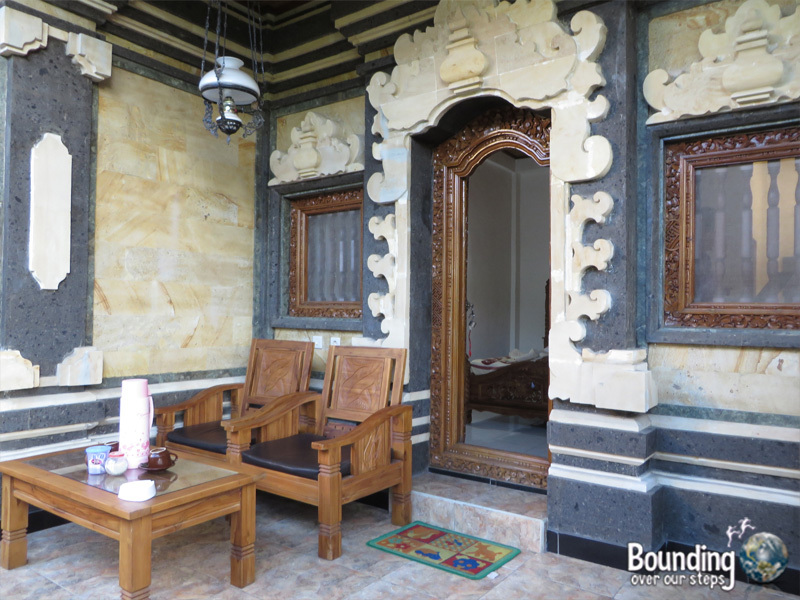 When we find ourselves in Ubud again, Adinda Homestay will be our first choice. After reading your review we decided to opt for a stay here but cannot find any direct link to the property. According to Bookings.com the place is fully booked for our dates next March and April! Any advice? We hope you can get in touch with them, as they’re a wonderful family! I am travelling in Indonesia next month with my 11 year old son and we are both vegan. I’m wondering if you have any tips, restaurant suggestions, or guest house recommendations where vegan food is served (lots of places offer eggs for breakie). We are flying into Bali and will stay in Ubud for a few days and then our plans are quite open. Suggestions? Hi Christie, how wonderful that you are going to Bali. It was definitely an interesting trip for us. In addition to Ubud, we recommend going up to Pemuteran! The next time we go we will spend more time in the north. I would avoid the south, especially Kuta. In terms of vegan options in Ubud…there were actually quite a few. 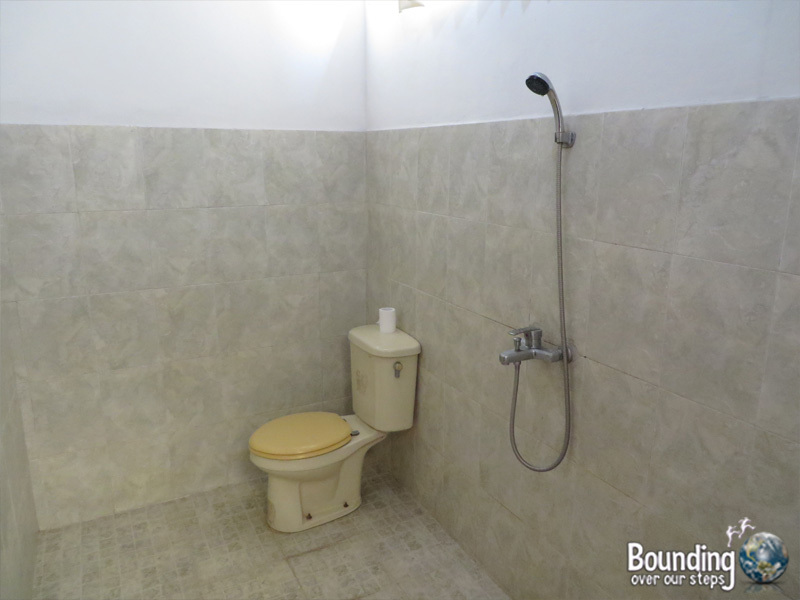 Here is a post that might help you: http://www.boundingoveroursteps.com/eating-vegan-ubud-bali/ We also stayed at Adinda Homestay and Teba House which are right down the street from each other. Both offered vegan food if requested for breakfast. As you suggested, make sure to mention the “no eggs”. 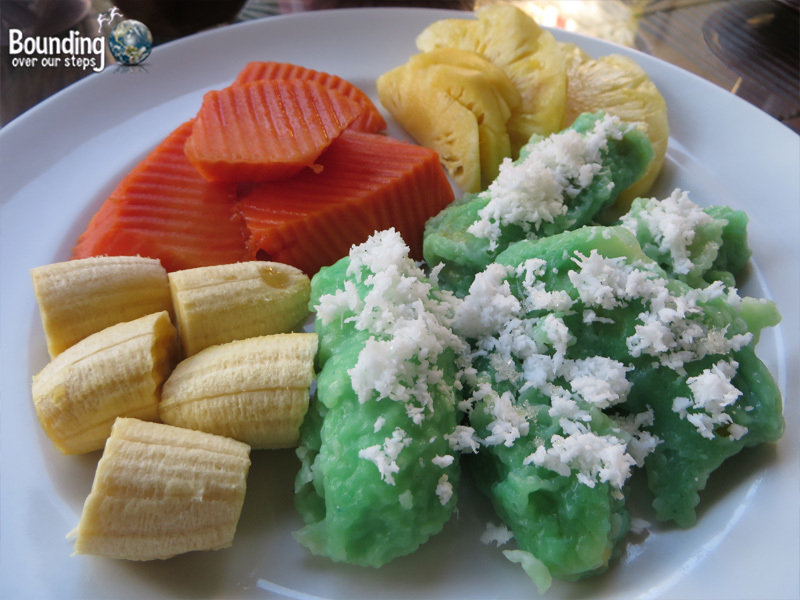 There are also many vegan-friendly restaurants in Ubud. If you do head up north, though, like to Pemuteran, where they see less foreign tourists, there are fewer vegan options so you can bring some food with you. Also, you can stay at Taruna Homestay, where they happily made us vegan food for breakfast, lunch and dinner. If you stay there, please tell them we said hello.